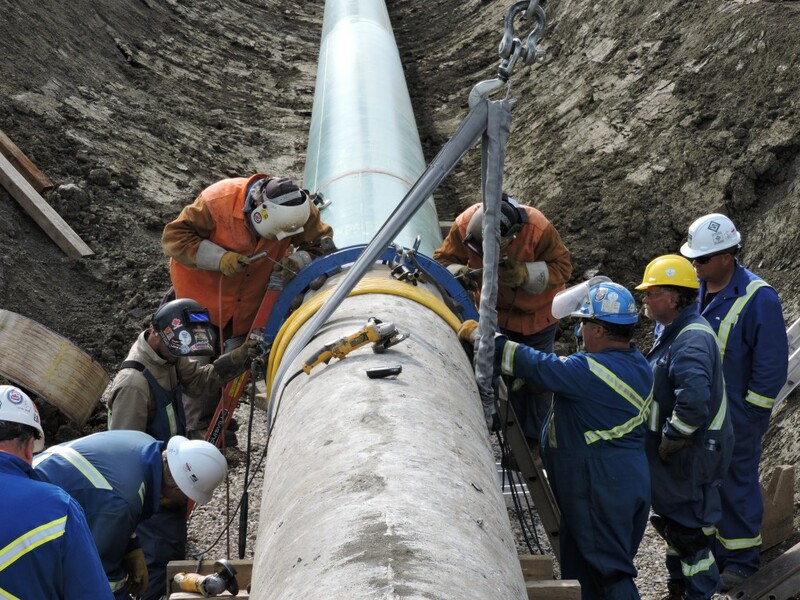 TransCanada Pipelines - Regina Bypass - Robert B. Somerville Co. Limited. As part of the Regina By-pass highway construction, Somerville replaced TCPL’s existing pipe with heavy wall pipe. TCPL’s Line 1, Line 2, Line 3, Line 4, Line 5 and Line 6 all required upgrading due to their proximity to the highway. Somerville excavated each in-service pipeline simultaneously in 3 locations, while welding and testing replacement sections of pipe from NPS 34 to NPS 48 up to 120m in length. Somerville supported TCPL operations during the pipeline outages, coordinated removal of the existing pipe and completed up to 8 tie-in welds during a 48 hour outage. TCPL’s Keystone Line 1 Pipeline remained in service while crews excavated, recoated and installed concrete slabs to protect the pipe within the highway ROW.